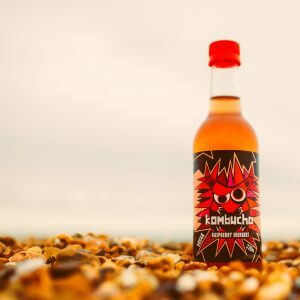 At Brighton Booch, we make small batch kombucha and conjure up flavours that make us stand out from the rest. 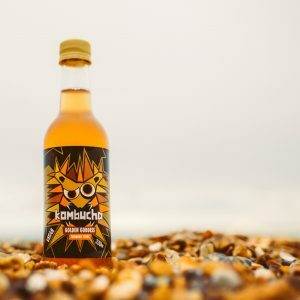 We continuously brew our Kombucha in small oak barrels (no bigger than 50L oak barrels) to monitor the taste and we ALWAYS taste test from each batch. The following eight flavours have been tweaked to perfection . We hope you will find your favourite. You can buy these in boxes of 3 , 6 or 24 in any flavour combination in our shop! Flavoured with Tulsi, which is one of the most prominent herbs in the Indian subcontinent and one of the most revered too – for the benefits of Tulsi are incredible. It's mainly known for its anti-inflammatory and antioxidant properties. 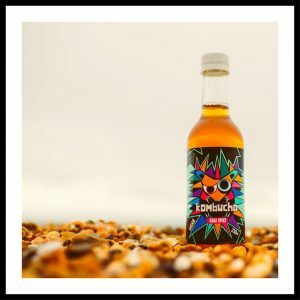 Combined with Rose and lemon it matures into a lemony natural cola drink. 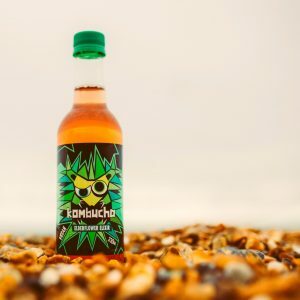 Made with 9 aromatic herbs and spices, our Chai Spice Kombucha is full of flavour and conjures up the classic chai flavour. 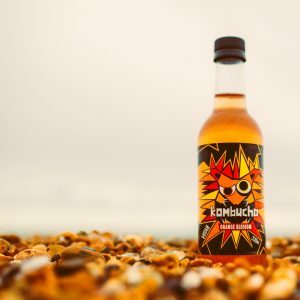 All mixed together with our naked Kombucha, each bottle contains a combination of Cloves, Coriander, Ginger, Cinnamon, Cardoman, Black Pepper, All Spice, Star Anise & Fennel! This fragrant drink flavoured with real Elderflower blossom will evoke lazy summer days. Made with feel-good essential oils and orange blossoms. This drink is a great pick-me-up for dull dark days. Oranges are known for happiness, contain essential vitamins and boost alertness and energy levels. Pu-erh tea is treasured in China due to it's earthly, bold and indulgent flavour. Our pu-erh tea is pre-fermented which add extra health benefits due to an abundance of vitamins, minerals and anti-oxidants. This flavour really reminds us of sherbert as it tingles on your tongue. 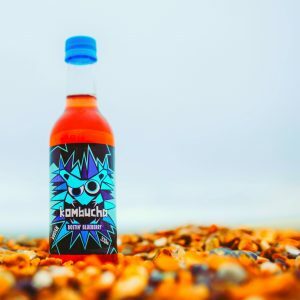 One of our most popular drinks and the fizziest! 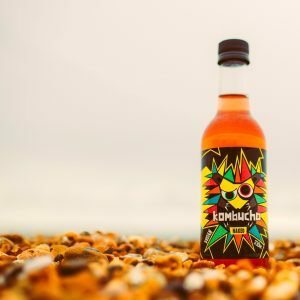 We pack this drink with fresh turmeric, cinnamon and ginger. We also add black pepper which contains piperine to enhance the absorbtion of Curcumin, the active ingredient in Turmeric. Curcumin has powerful anti-inflammatory effects and is a very strong antioxidant. Blueberries are one of the most nutrient-dense foods in the world. As well as adding blueberry we also add Bilberries which are rich in anti-oxidants and help lower blood sugar levels. 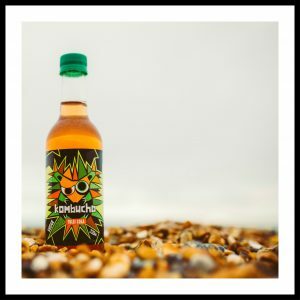 This is a nutritional powerhouse drink!